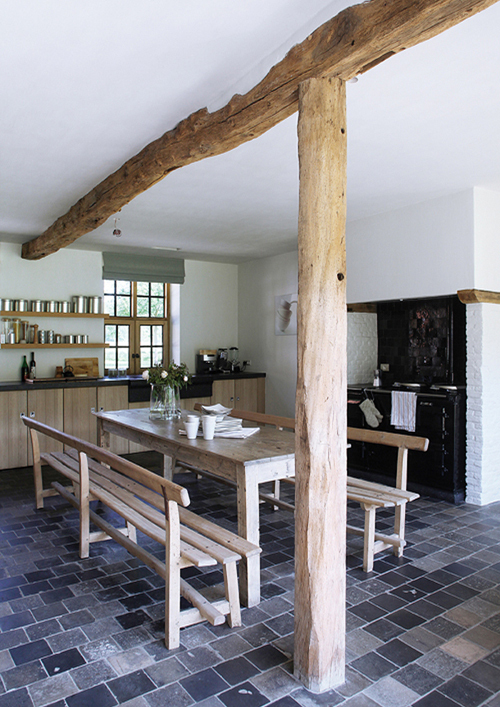 Today I’m loving … this modern country kitchen. More images of this Bed & Breakfast in Belgium can be found on The Travel Files. The farmhouse in absolutely stunning! This place looks GREAT! Just what you need for a relaxing getaway!! The design style is one that evokes a sense of home, comfort and safety.. Perfect design style choice!! looks wonderful – uncluttered and authentic. Love white and wood together! Think I would like to stay in this B+B…. I really like the look of benches at a dining room table. The rustic beam is an incredible touch too. I’m fond of belgian style. I stayed in another belgian b&b last month in the western flanders : blanches voiles, great design and the food was awesome.